Let Andreasen Travel & Tours reserve all of the travel arrangements for your Destination Wedding. Whether it is for five guests or one hundred and five, we will make all of the accommodations so you can focus on more important things, like finding that perfect dress. We also customize your Group Events such as Family Reunions, Birthdays, and Anniversaries. 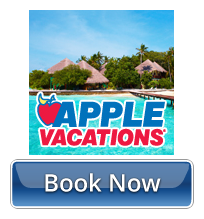 Browse our website for offers or use our search box below to find your dream vacation! Click on the Sandals Logo to view current Specials & Last Minute Deals! Click on the Beaches Logo to begin planning your family vacation!